This year's 7th grade poses at the Lincoln Museum. 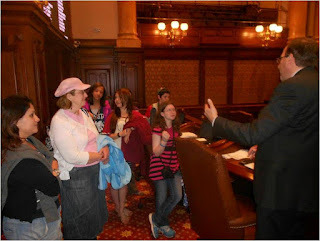 Several years ago, Akiba-Schechter parent State Senator Ira Silverstein approached us with a proposal to initiate a school trip to Springfield, the Illinois state capital. 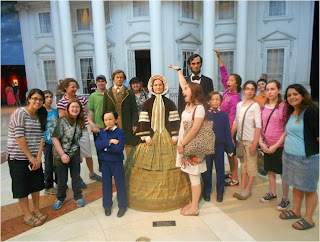 The initial idea was to emulate many of the other Jewish day schools by conducting a day trip to see the state government in action and to visit the Abraham Lincoln Presidential Museum. Although I had lived in Illinois for twenty-five years, I’d never visited Springfield, so I was happy to organize the trip and see the sights myself. It quickly became apparent that there were too many interesting things to see and do, and that a one-day trip would be uncomfortably rushed. After all, the round-trip drive to and from Chicago alone takes about seven hours. An overnight trip seemed to make more sense and that is what we decided to do. Visiting with Secretary of State Jesse White in his office. Originally the 7th and 8th grades went together biennially, during the year that I was teaching them American History. 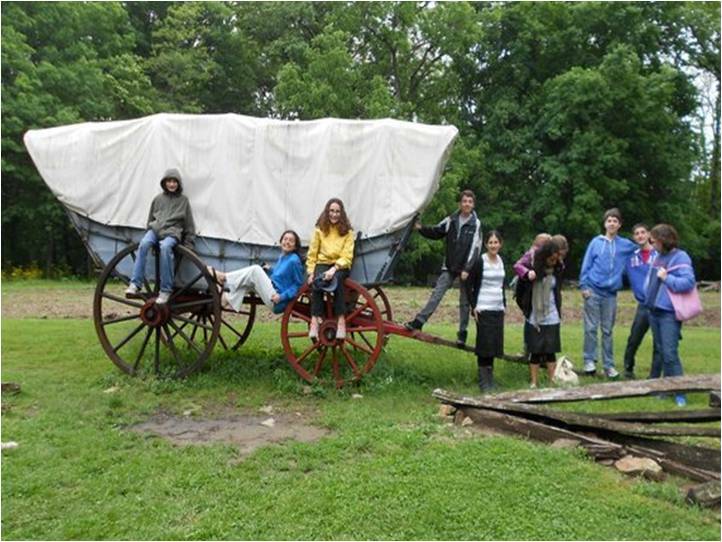 Last year, thankfully, the school was able to reinstitute an 8th grade graduation trip to Israel, which was successfully repeated this year, so we made the Springfield trip an annual event for the 7th grade. In a way, it serves as a small prelude for the Israel trip. 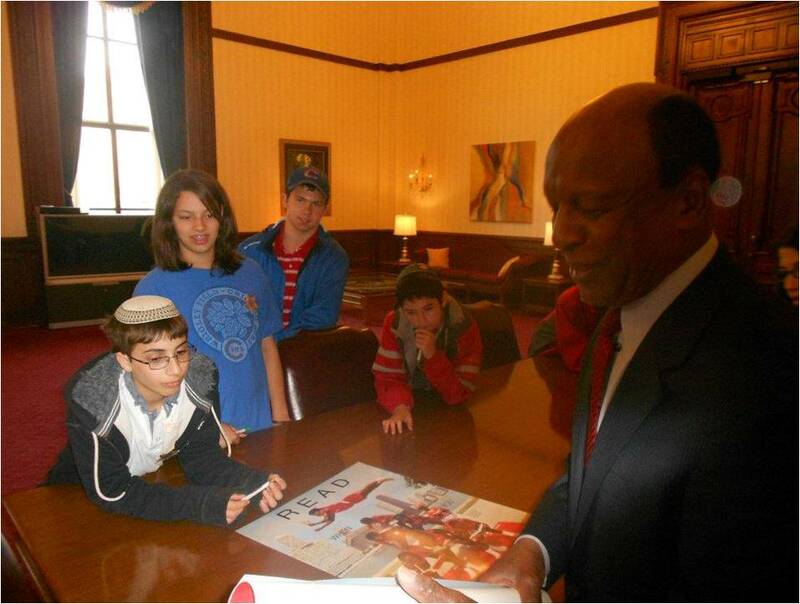 Visiting with State Senator Ira Silverstein. The educational objectives of the trip are obvious. Visiting the Illinois State Capitol building serves as both a civics lesson and a lesson in Illinois history. In past years we were fortunate to have an Akiba-Schechter preschool parent serving as a high official in the Governor’s office, and Senator Silverstein continues to serve in the General Assembly, so our visits have always been a little more intimate than most. Rubbing the nose of the Lincoln bust at the cemetery. In addition to the spectacular Lincoln Museum, Springfield abounds with Lincoln historical sites, including his home, his law office, the restored Old State Capitol building where he practiced law and sat in the General Assembly, and his tomb. On the drive down from Chicago there is also Lincoln's New Salem Historic State Site, a state park featuring a replica of the entire village which Lincoln called home during the 1830s. 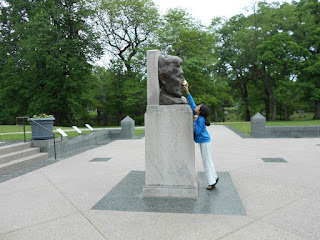 Visiting these sites and “walking in Lincoln’s footsteps” lends an immediacy to him that transcends books and school lessons. Stopping at Lincoln's New Salem Historical State Site. What’s less obvious is the trip’s social value. The class spends two long days together, and I like to think that it’s a valuable bonding experience. Spending the night at the motel is a big deal, as is staying up for a late movie. We do everything we can to make the trip both memorable and fun, including treating the kids to ice cream at Baskin-Robbins (see upcoming blog post on how to organize a kosher trip to non-kosher land). 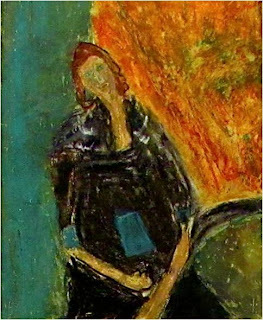 We are proud to announce that we just mailed out contributors' copies of Akiba-Schechter's very first literary magazine, The Jammed Locker, showcasing art work, poetry and stories by students from grades 1-8. We take much pride in fostering community at Akiba-Schechter; students of all ages can work together to create something spectacular as they did with this journal. As usual, the whole is much more than the sum of the parts. The artwork of a 2nd grader enhances the beauty of a poem written by an 8th grader, as the painting of a 7th grader can mirror the feelings of a 5th grader. And the Creative Writing Club came up with the magazine's fabulous name. Seeing their work published is of course a great accomplishment for all contributors. I am from the many who got killed. I am from the burning books that lay on the streets. and from the trees that hear cries and screams of help. I am from the long winters that carry on. I am from the sweet smells that waft through their air. I am from the songs that are still to be sung. I am from a chain of life that will carry on. that make pain rush from my mind to my heart. I am from the many minds that are like one. I am from the trees that breathe in death and breathe out life.